Fall is in the air, the smell of crisp apples, the crunch of fallen leaves. It must be apple crisp time! 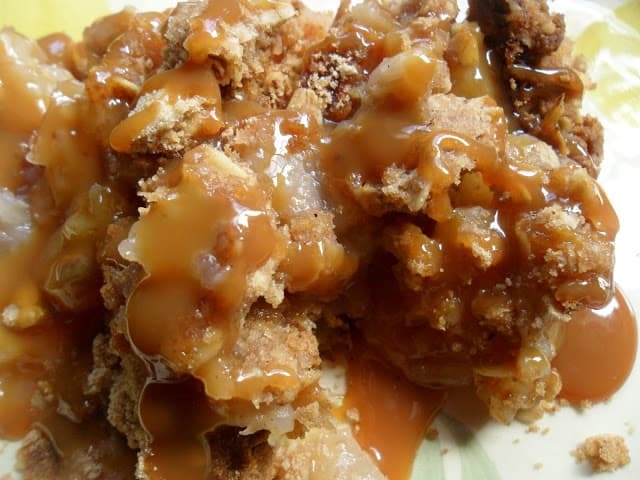 Easy Apple Crisp with Caramel Sauce is not only easy, its delicious. This easy recipe features my all thyme favorite, hands down the best, better than homemade caramel sauce. You can make your own caramel sauce but I love Ecker’s Apple Farm Caramel sauce and that’s my story and I’m sticking to it!! Ecker’s Gourmet Caramel recipe was developed in 1955 by Peter Ecker, when large scale, copper kettle production became necessary. All caramel is made on site with the finest ingredients. The caramel is truly a delicacy. Ecker’s gourmet caramel is made almost daily in season. The finest copper kettle equipment is used to make each batch on site. Caramel can be purchased year round in 18 ounce size containers or an economy 9 lb. pail. This recipe is very versatile. Make it your own by adding more or less apples, using more or less sugar, or even using only cinnamon instead of the apple pie spice. I like to use two or even three different types of apples when making “anything” that involves apples. The flavor is so much better when you combine different apple types. Start with two types of baking apples, then three, until you find a combination that works for you. Places apples in a 11 x 7 inch baking dish. Drizzle juice from lemon over apples. 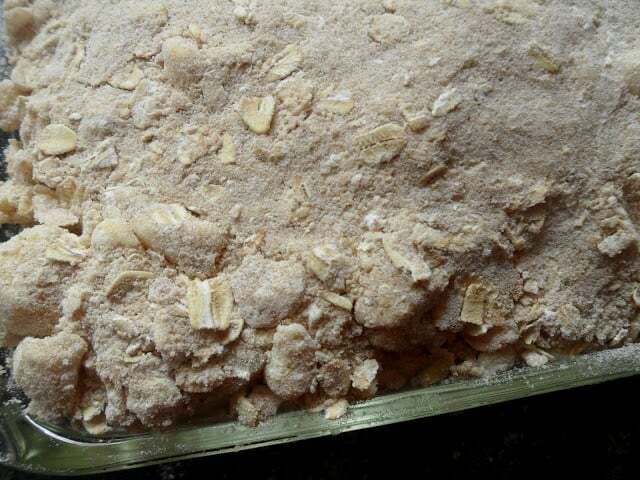 In medium bowl, mix together brown sugar, oats, flour, salt and apple pie spice. 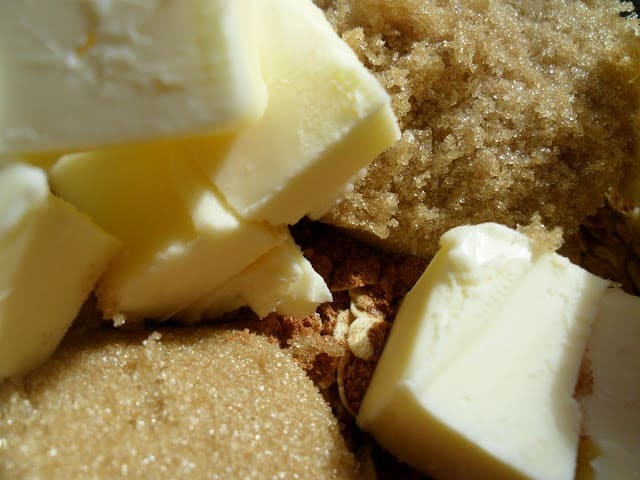 With pastry blender, cut in butter until crumbly. Sprinkle over apples, press down lightly. Bake, uncovered at 400º for 40 to 45 minutes or until apples are tender and topping is golden brown. 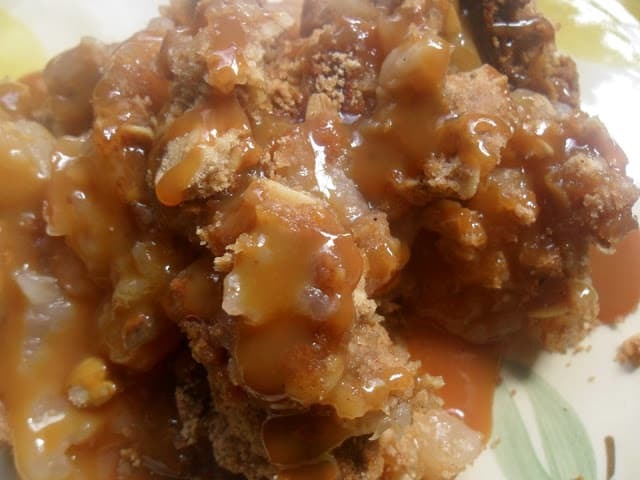 Drizzle with caramel sauce, caramel ice cream topping and/or cinnamon ice cream. 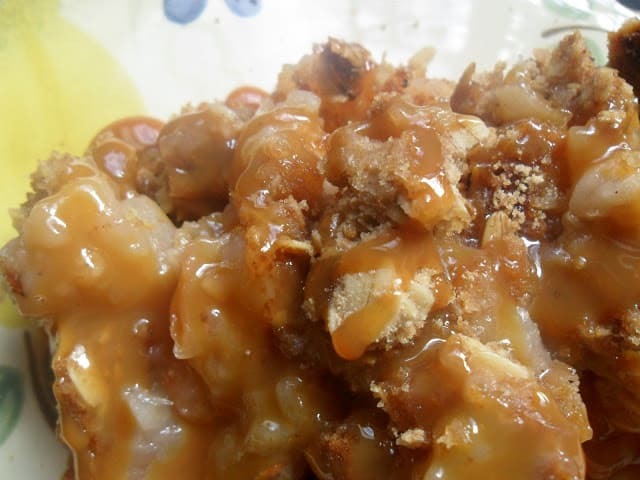 I love Apple crisp and can't wait to try your recipe.. Thank you, Thank you! Oooh, apple crisp! This is one of my signature fall dishes! 🙂 As soon as the weather gets chilly, it's what I start to crave 🙂 Yours looks delicious, Lynn!